If your travel plans are taking you “way up north”, then you might be stopping in the Pacific Northwest first. 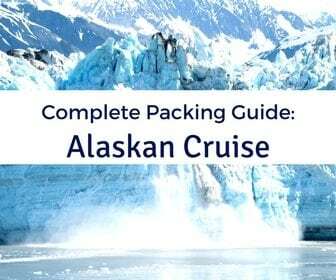 Many Alaskan cruises originate from Seattle, WA, allowing travelers the ease of leaving from a U.S. port. Unlike some other ports, you should not neglect the city of Seattle itself, as there is plenty do to and see especially this time of year. You could easily spend days traversing this city but let’s be honest, you have a cruise ship to board! 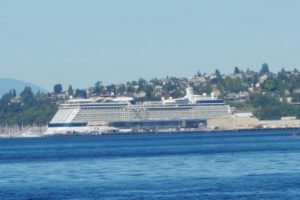 So, what are the things you must see in Seattle with limited pre-cruise or post-cruise time? 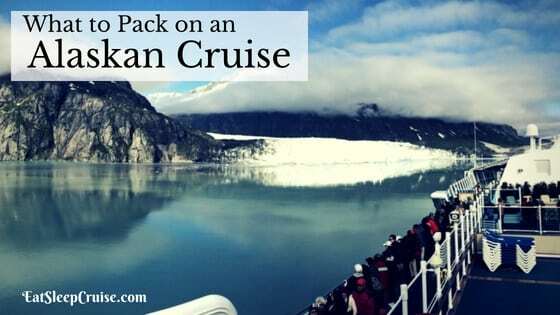 Luckily, on our last Alaskan cruise in 2014, we were able to spend a full pre-cruise day and a half post-cruise day cramming in as many of the city highlights as possible. It was exhausting but rewarding as we got to see much of the city on a very tight schedule. Getting a taste for Seattle, we know we will be back again, whether it is on another cruise or just to visit the city itself. 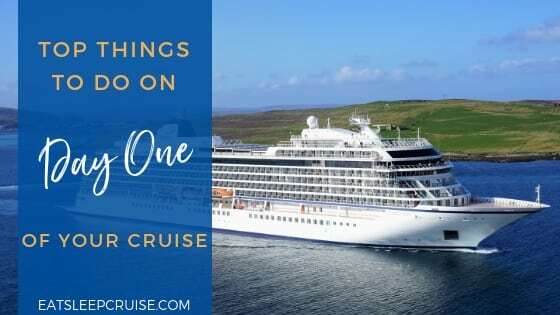 So, without any further delay, here is our list of the things you must see in Seattle when on a cruise! While many travelers may label this a “tourist trap”, we enjoyed our time at the Space Needle and the surrounding area of Seattle Center. 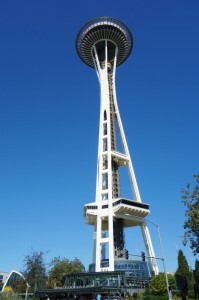 Taking the 41 second elevator ride up to the Observation Deck, you have amazing 360 degree views of Seattle. 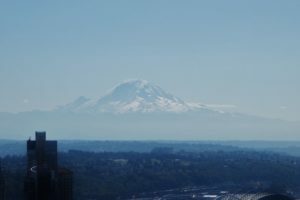 With relatively clear weather, we were able to get a nice shot of Mount Rainer which is southeast of the city. From here, you can also get some great views of Puget Sound, as well as the Olympic Mountains to the west. These views are why you are spending time in the Pacific Northwest! If you have time to kill, you can grab a drink or perhaps a bite to eat at the SkyCity Restaurant. 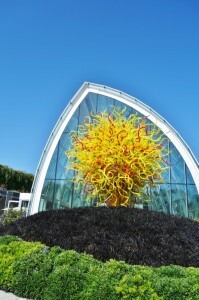 Glass, Flowers, and Art, the Chihuly Garden and Glass museum has it all. While I am not a huge art fan, even I was visually captivated by the craftsmanship and uniqueness of Chihuly Garden and Glass. 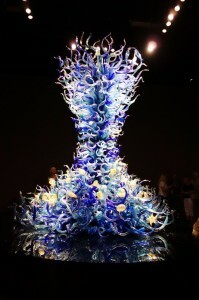 A Washington state native, Dale Chihuly’s glass works are displayed in various exhibitions. The Princess’ favorite installation (and admittedly mine as well) was the aptly named Sea Life- you probably would have guessed that! There were also many other impressive displays including elaborate chandeliers and the Persian ceiling. It is not exactly a huge museum, but you can definitely spend about 90 minutes (or more) strolling through the museum exhibits, the glass house, and the adjacent gardens snapping pictures and learning about these massive pieces of glass. 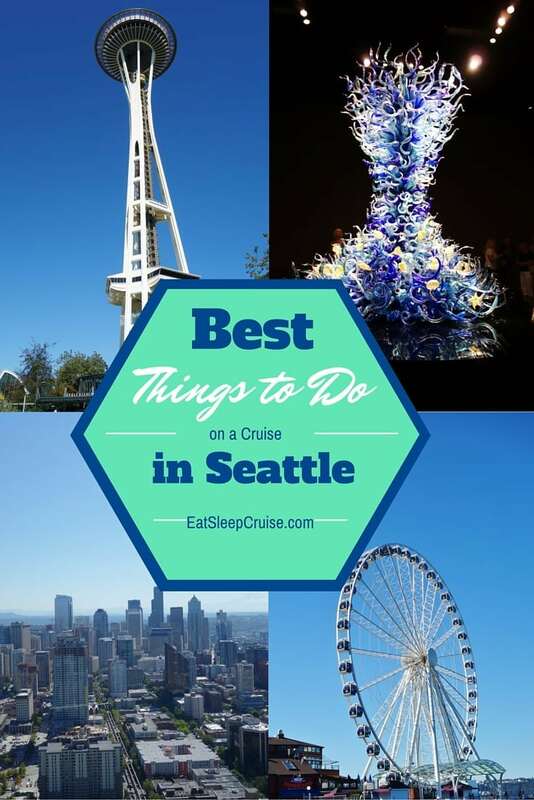 Even though the museum is only three years old (it opened in 2012), it is ranked the #1 thing to do in Seattle on Tripadvisor, so it is definitely something you must see in Seattle when you go on a cruise. Chihuly is open regular hours: 11am-8pm Sun-Thurs and 10am-8pm Fri and Sat. Admission is $24 alone or $38 w/ Space Needle (which is what we did and highly recommend!). No time spent in Seattle would be complete without a morning spent at the world famous Pike Place Market. 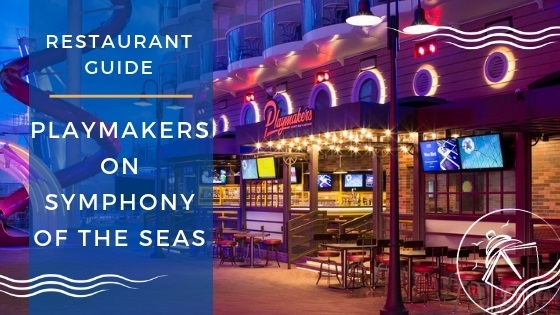 This historic waterfront attraction is home to some of the freshest seafood and unique arts and crafts you will find in any major city. It is one of the country’s oldest farmers’ markets so plenty of flowers, fruits and vegetables, and other homegrown goodies can be found throughout the multiple floors of this plaza. If you go to the market post cruise, you can pick out some fresh salmon or crab and have it iced down and boxed up for you, or many places will even ship it for you (for an additional fee of course). Even if you do not plan on buying anything, walking around and admiring the work and craftsmanship of the proprietors in the market will give you a new appreciation for farmers and craftsmen. Either way, Pike Place Market is one of the things you must see in Seattle, even if you only do a short stroll through the area. 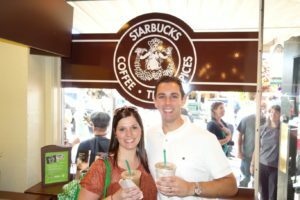 While at Pike Place, if you love coffee as much as the Princess and I, then you need to stop at the original Starbucks, conveniently located across from the market. Opened in 1971, today the shop is basically a Starbucks fan mecca still serving coffee and offering other exclusive merchandise. Even if you do not like caffeine, a quick selfie in front of this store would be the whip cream topping on your vacation, so it makes our list of things you must see in Seattle. A short walk from Pike Place Market, you will encounter the Seattle Waterfront. 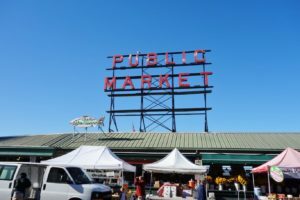 Here, there are a variety of things you can choose to explore depending on the amount of time you have to spend in Seattle and your preferences. Almost anything you choose is sure to be enjoyable. 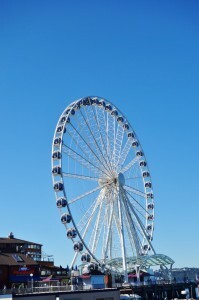 During our time here, we did want to ride the Seattle Great Wheel, albeit pricey at $14 dollars, per person in advance. Who wouldn’t love to be 175 feet in the air snapping photos of this beautiful city? It does only make a few revolutions, so do not expect too much of a ride. It is open daily to 10pm and on the weekends as late as 12am. 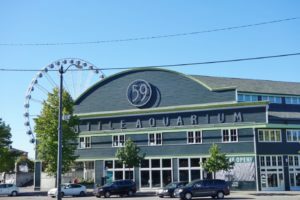 Adjacent to the Great Wheel and the Miner’s Landing shopping and dining area, is the Seattle Aquarium. One of the top ten largest aquariums in the United States, this landmark (or watermark?) offers a variety of exhibits, including interactive areas where visitors can touch marine life from the Puget Sound. 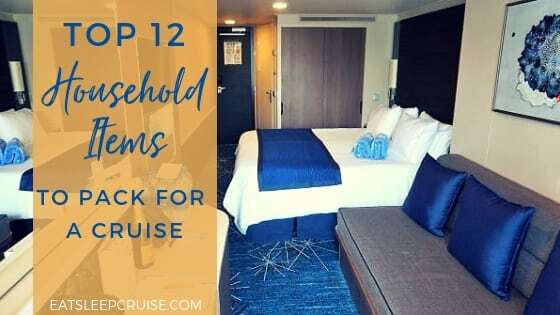 While there, you will also see some tropical fish, seals, and other amazing mammals- it might just make you feel like you are on a Caribbean cruise! The Seattle Aquarium is open daily from 9:30am to 6:00pm (last entry is at 5:00pm). 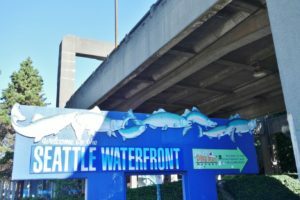 With fees starting at $29.95 for adults and $19.95 for children, if you have the time and want to learn more about the abundant sea life in this coastal area, then the Seattle Aquarium probably would top your list of things you must see in Seattle. 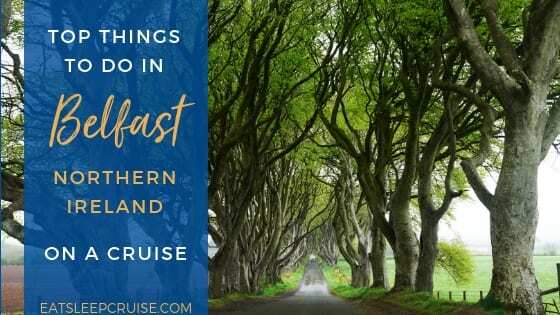 Yes, you are going on a cruise or just returned from one, but to truly capture the beauty of this area, you might want to consider a harbor tour. 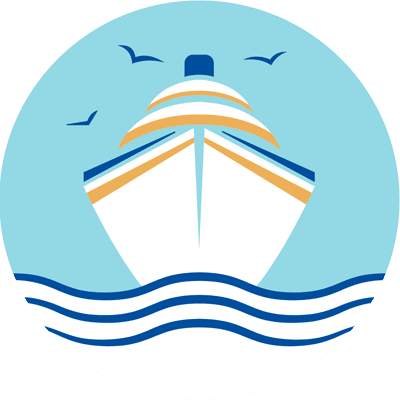 One of the most popular tours, offered by Argosy Cruises, is a harbor cruise which gives you city skyline views and mountain vistas all within 60 minutes. For something a bit different, if you have the time, many locals suggest a cruise out to Tillicum Village on Blake Island. 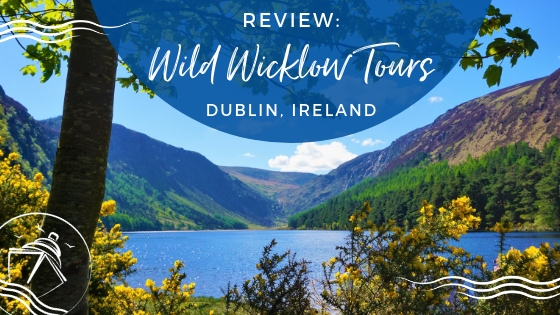 Here, you can learn more about the natives of this region and experience some authentic dancing and culture, as well as a classic salmon bake. It is a four hour experience, so make sure you have time to spare if you want to venture to this island. Further up the coast is the Olympic Sculpture Park. 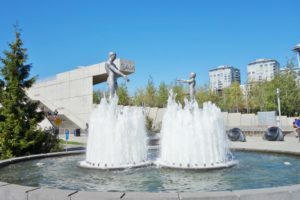 Part of the Seattle Art Museum collection, this park is open year round and allows travelers and locals alike the chance to spend some quality time with nature in the park and surrounding walking and biking trails. Here, you can see across to the Olympic Mountains or marvel at the 21 sculptures that are strategically placed throughout the area. A tour map and other literature about the park can be found in the park pavilion or online if you want to be environmentally friendly. This is the largest “green space” in Seattle, so don’t be surprised if there are plenty of other admirers here too. Free tours occur seasonally and last 60 minutes- sadly, we did not get on a tour during our visit. 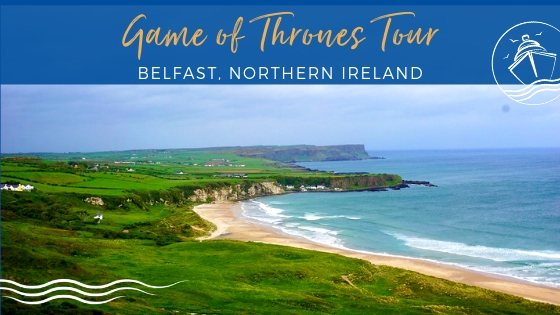 Regardless, armed with the map and our camera, we set out to roam this area on our own, learning about the sculptures and enjoying the beautiful weather and even more majestic landscapes. 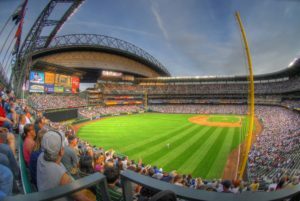 Sports fans, while in Seattle, you need to venture off to the SoDo neighborhood to get your fix of either baseball or football, or perhaps both. Safeco Field has been home to the Seattle Mariners since the ball park opened in 1999. Even if the boys in blue are not playing, you can take a tour of the facility, which gets you ground level to see all the stadium has to offer and includes some behind the scene areas normally not open to the public. 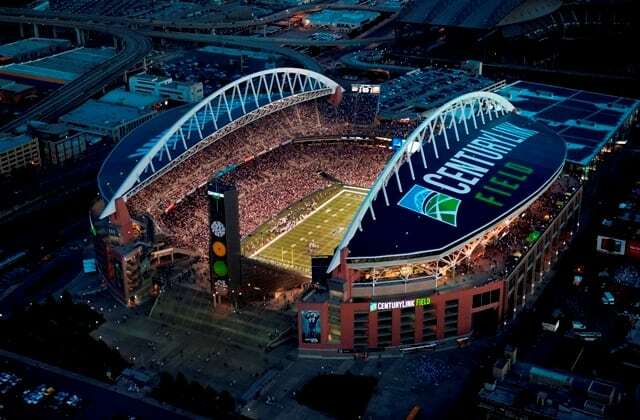 If you are cruising later in the Alaskan season, then you may have a chance to catch a game at Century Link Park, home to the Seattle Seahawks. During our last visit to Seattle, it was actually the season opener, and while I wanted to venture down to the fan area, the Princess had other plans. Nerds and music lovers unite! 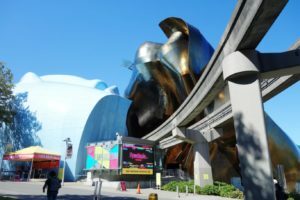 The EMP Museum, (now called MoPOP), is where pop culture and art collide for some out of this world exhibits. We spent hours here on our last trip to Seattle as there is just so much to do and see. While exhibits come and go, during our visit, we enjoyed the World of Myths and Magic, featuring memorabilia from famous movies and shows like Harry Potter and The Lord of Rings. 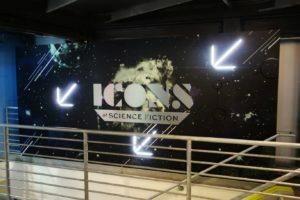 We were also held captive by the Lure of Horror Films, and I was in geek heaven reveling in the Science Fiction Hall of Fame. We know you are ready to hit the ground and start exploring all the things you must see in Seattle, but before you do, don’t you want to save some money? For one low price of $79 (price as of 2018), purchase a Seattle City Pass, and you can visit the Space Needle, the Aquarium, take a harbor tour, and then select from some other options including the MoPOP and Chihuly Garden and Glass. 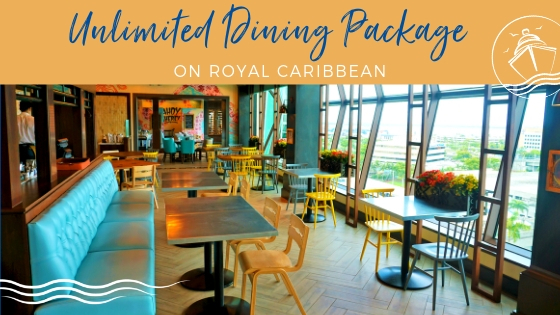 It is a great deal and is good for up to nine days, meaning you can spread out your tours for both pre-cruise and post-cruise, like we did! 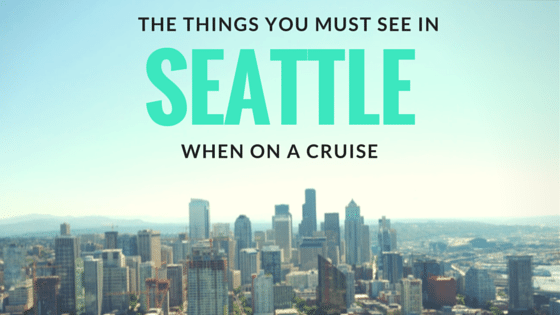 Have you been to Seattle during a cruise? What are some of your must see attractions in the city? Drop us an anchor below to tell us what you love to do when out in the Pacific Northwest. 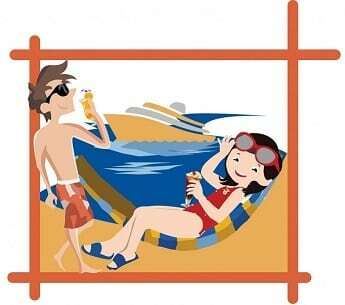 Help your fellow cruisers make the most of their limited time in the city pre-cruise or post-cruise. 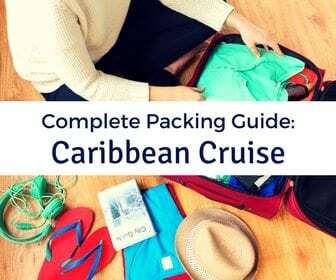 Is Empress of the Seas Going to Cuba?